Frans le Roux, owner of Heidelberg Steel, was involved in the erection of steel structures since 1973. In 2000 he started Heidelberg Steel, situated in Heidelberg Gauteng. 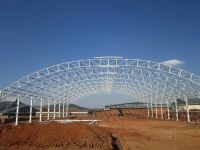 Heidelberg Steel erects steel structures throughout South Africa and it’s neigbouring countries eg. Namibia, Angola and Mozambique. Heidelberg Steel also supply steel products for DIY projects. Any Steelwork. Free Quotations. For the best service contact Johan. 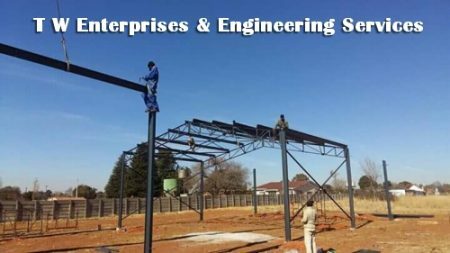 We are a steel company with market competitive prices and qualified staff to help our customers in a timeous professional manner. Our staff capacity and industry related experience enables us to pro-actively support and respond to customer’s requirements. We stock a wide range of prime steel, re-usable steel and ancillary products, for everyone from the large resellers to the DIY customers. We also stock small structures that we can built for you or you can do it yourself. 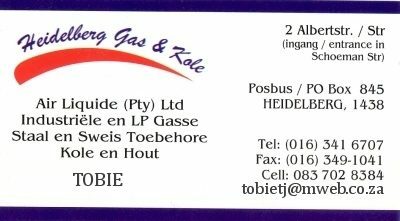 We are situated in Heidelberg Gauteng. Our dedicated transport unit and extensive delivery fleet enables us to deliver to you on time at a competitive rate. 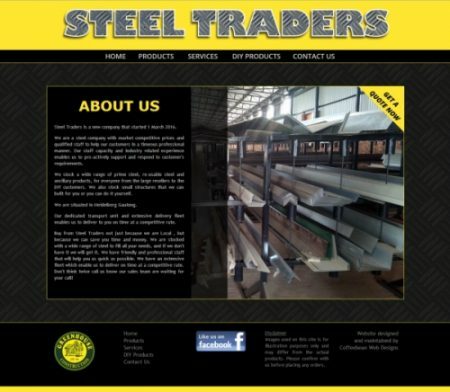 Buy from Steel Traders not just because we are Local , but because we can save you time and money. We are stocked with a wide range of steel to fill all your needs, and if we don’t have it we will get it. We have friendly and professional staff that will help you as quick as possible. We have an extensive fleet which enable us to deliver on time at a competitive rate. Don’t think twice call us know our sales team are waiting for your call!